Web Design for Salty’s Gulfport Bar. Known as one of the best and certainly the funnest waterfront bar in Gulfport, Florida – Salty’s rocks, but needed a new web design. 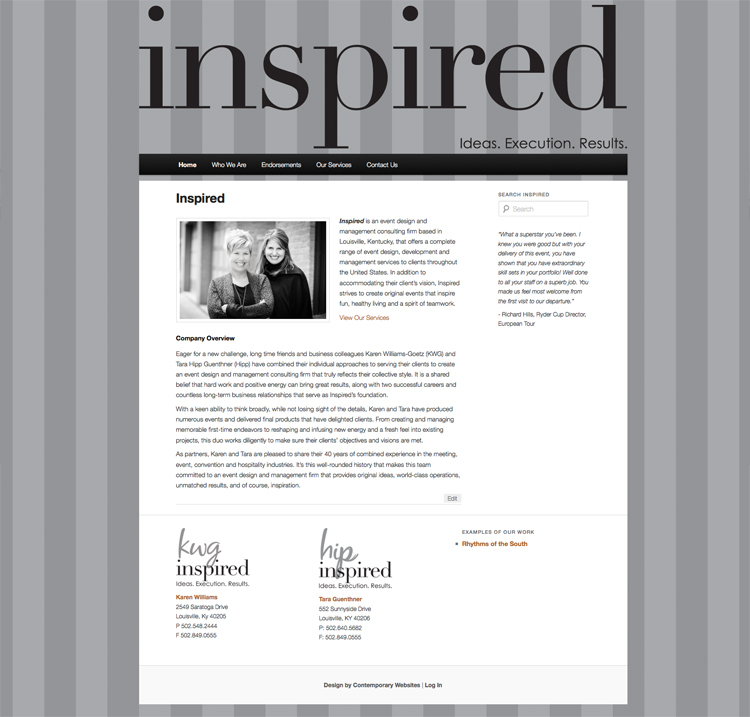 Staying true to their local nature they chose Contemporary Websites to produce and publish – they’re happy they did! The site features lots of vibrant photography, easy access to their daily and weekly specials, monthly live music schedules and social network pages. The site is fully responsive and adaptive to any screen it is viewed on. Personal Artist and designer portfolio for contemporary artist Matthew Weir. His new site features documented texts, images and social networking capabilities. 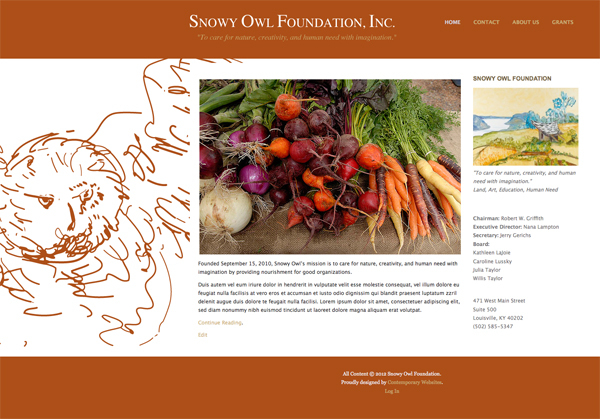 The main challenge with this site; to display a huge body of work within a minimalist yet easy-to-expand framework. Big – Bold images, ability to separate items by tags, titles and by series of work were requested and provided. ModernistIcon is a private collection of post-war and contemporary art and design. 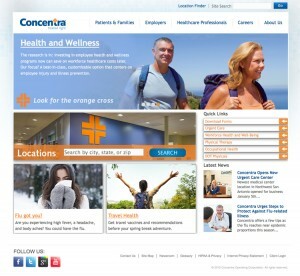 Like all of our recent projects their site is SEO optimized and adjusts for different screen sizes. Concentra is a regional group of immediate care centers. Contemporary Websites works to insure a user-friendly designs for both front and back-end experiences on both desktop and mobile-friendly devices. CAC Medical Centers, Florida – Click to enlarge. CAC Medical Centers is a large conglomerate of local community based medical centers. Exponential growth in the past decade have lead to the need for a site that is both accessible and responsive. At CAC Medical Centers, we think it’s best for all your doctors and specialists to have “One Place” working together to coordinate your health care. 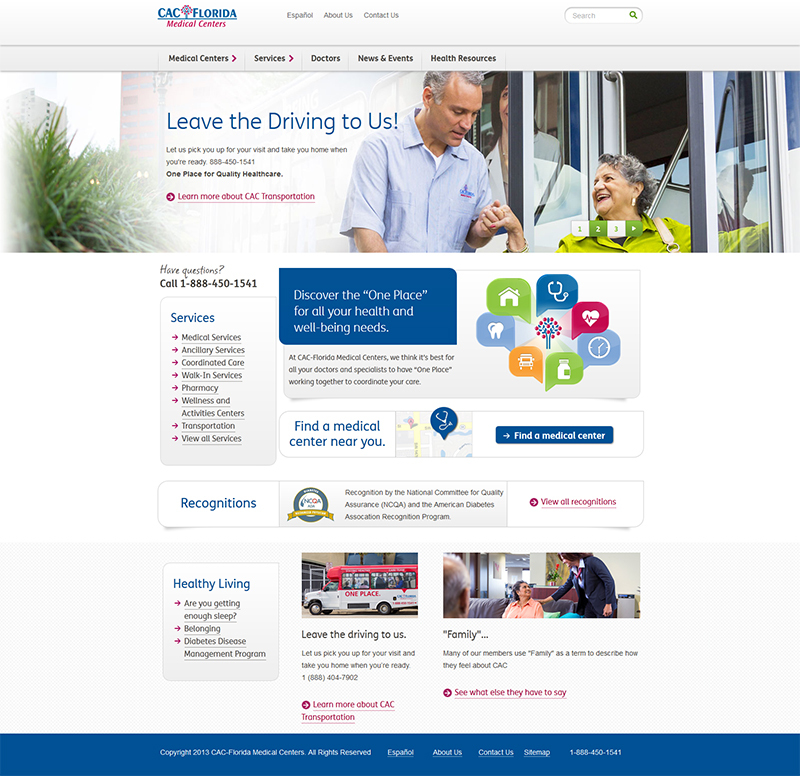 Contemporary Websites worked with CAC Medical Centers to provide front end design for the entire CAC Medical Centers website. Personal Artist and designer portfolio for contemporary artist Bryce Hudson. His new site features documented texts, images and social networking capabilities. 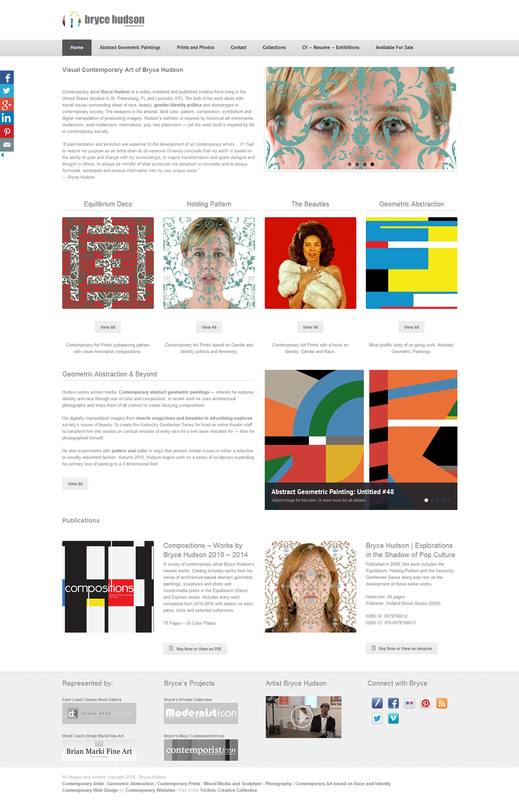 The main challenge with this site; to display a huge body of work within a minimalist yet easy-to-expand framework. 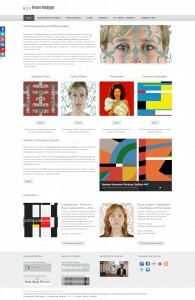 Visit the Contemporary Art site of Bryce Hudson. 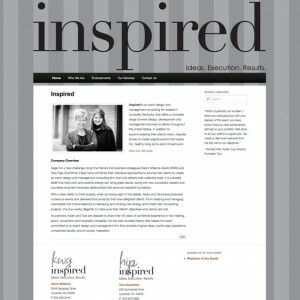 Inspired is an event design and management consulting firm based in Louisville, Kentucky, that offers a complete range of event design, development and management services to clients throughout the United States. Conveying their playful, yet serious attitude to providing valuable client services was key to their business and online presence. 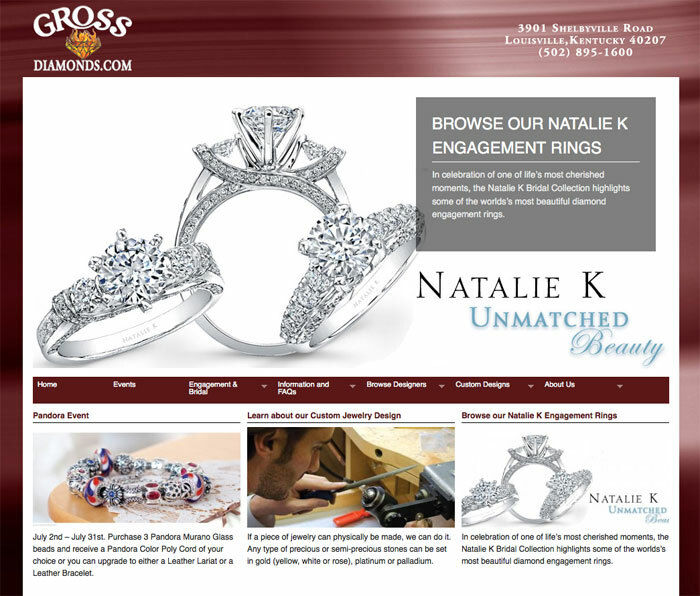 What could be more fun than a complete redesign of the Gross Diamond Company website! Working closely along side staff at Gross Diamonds, Contemporary Websites reinterpreted and redesigned the site from the ground up – and on a new format. Contemporary Websites also taught Gross Diamond Company’s staff to update and control the site completely on their own. Deven 7 Studios is Louisville, Kentucky’s leading and most trusted framer. For over a decade Deven 7 Studios has provided customers with everything to fit their framing needs – from small one-off projects to partnering with many local and regional organizations and museums. Deven 7 Studios and Contemporary Websites have long since been a partner – creating their original web presence 8 years ago, we recently redesigned their site within a CMS based design, insuring room for it to grow and ultimately handing over control of the entire site, its contents and updating capabilities to the Deven 7 Studios staff!